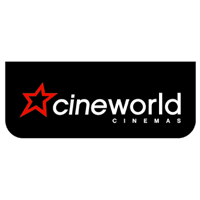 Cineworld Group plc (LON:CINE) today announced its interim results for the 6 month period ended 30 June 2018. The interim financial statements include the results of Regal Entertainment Group following the completion of its acquisition on the 28 February 2018. These results are presented in US dollars following the Group’s change in its presentational currency from pound sterling to remove the largest driver of currency translation volatility and provide greater transparency in the underlying trading performance of the Group. o CEE & I(5) constant currency(3) revenue decline of 1.3%. 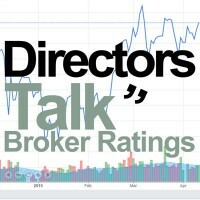 · Net debt of $3,650.0m and Adjusted Net debt(6) of $3,852.0m, which is equal to 3.8x Pro-forma LTM(7) Adjusted EBITDA. · Integration plans for Regal are progressing well, further integration benefit opportunities being reviewed by management. · the renegotiation of the Group’s debt facilities on advantageous terms. At the same time, the existing operations in the Group were expanded, refurbished where necessary in accordance with our strategic policy and performed successfully in line with our expectations. This was not a trivial challenge and on behalf of the Board, I would like to convey appreciation for the exceptional amount of hard work that this entailed on the part of the Group’s executive management, very competently led by our CEO and Deputy CEO. Details of the strong financial performance are set out above and in the CEO’s Report, and these results together with the Board’s confidence for the Group’s prospects in the forthcoming 6 months, enabled it to declare an interim dividend for the period of 4.85 cents per share. “We are pleased to announce strong first half results following the successful acquisition of the Regal Entertainment Group. Following the completion of the transaction, I have spent a lot a time in the United States getting to know our US business and implementing our strategy. I am very pleased with the Regal acquisition, we have already identified a significant number of opportunities. We are focused on delivering on the full potential of the combination through the strengths of our brands, focus on customer experience and investment in technology.